Giving a bottle of wine as a gift? Why not put it in one of our wine bags. 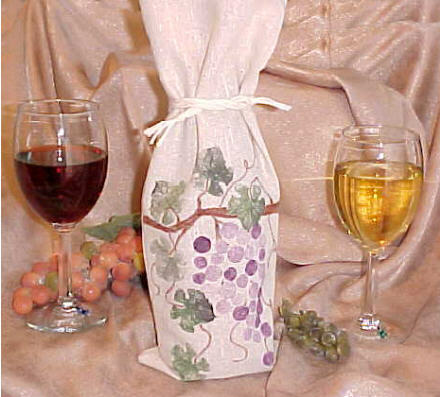 Cotton wine bag features a hand-pressed grapevine design. Coordinating cotton tie included.